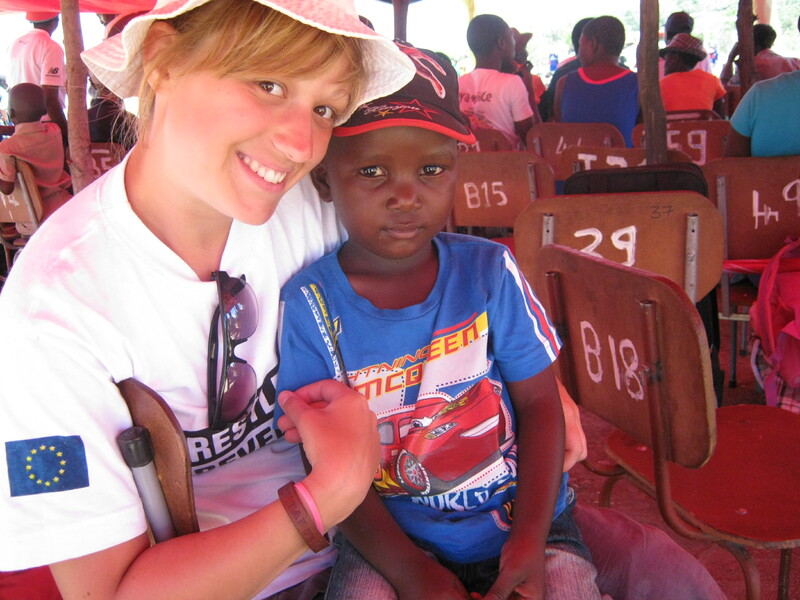 Lauren Thatcher volunteered with Restless Development on ICS in Zimbabwe. Here she talks about our upcoming Hitch a Ride events in Bristol and Edinburgh, and why her placement inspired her to get involved. How many of us have brought up the question of international aid after seeing yet another TV campaign, portraying women and children suffering in desolate conditions? Who hasn’t asked themselves why nothing has changed in the past 10 years of government intervention in the developing world? In fact, for as little as 0.7% of the UK government’s budget, change is a daily reality in the world’s poorest countries. Restless Development and VSO have joined forces to set the record straight by the means of Hitch a Ride events taking place in Bristol and Edinburgh this summer. These two organisations have asked various return volunteers from across the UK to participate in sharing their stories of change in a fun and friendly manner. 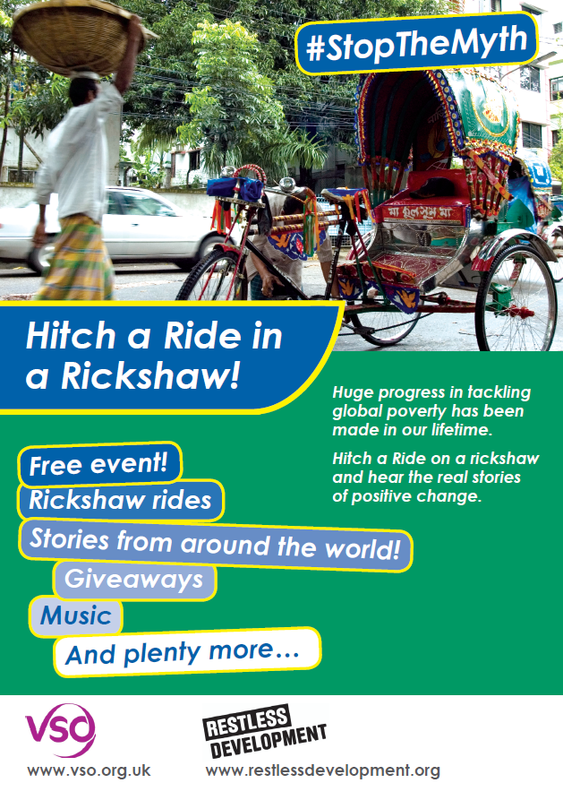 “Hitch a Ride” means just that: members of the public will be able to jump on a rickshaw for a tour round in exchange for a conversation about the results of international aid. They even get a picture with the rickshaw to take home with them! As a return volunteer I feel very strongly about the misconception about the effects of international aid. Many a time I have found myself ranting on about how people would surely give more and get more involved if they saw the positive effects of what is being done. When offered the chance to put forward my stories and at the same time spend a day on a rickshaw, I had to take it! The key thing to remember when on placement is that what you are doing is only a very small drop in a rather huge ocean. Hunger will not be cured in a day, a secondary school won’t open its doors to a young mother after one conversation but it is an accumulation of many small things that will bring change from within the country. I know for a fact that my time in Zimbabwe hasn’t changed the world; however it has changed a few lives for the better. The secondary school teenagers I ran sessions with have a new, and more confident, way of greeting each other. Some of the primary school children I spent time with now look up when speaking in public. It is those young people who are going to change the world as they know it. All the volunteers participating in Hitch a Ride have their own stories to tell, some may have affected an entire group of people and others only one but the truth is this : change is happening and it’s happening now.